Basseterre, St. Kitts, May 31, 2018 – The number of murders in St. Kitts and Nevis continues to climb with the shooting death Wednesday night of 17-year-old Basseterre High School student Jamoy Stapleton. The third former was gunned down in the company of 15-year-old Hajan Calbourne who sustained a gunshot wound to the chest and a fourth form student at the same school. 19-year-old Antonio Lestrade, was also injured. He received a gunshot wound to an arm. The murder count for 2018 stands at 13 and that figure does not include the cause of death of a “John Doe” whose decomposed body was found at Ottley’s Level, St. Kitts. The glowing, but misleading headlines on crime from the Office of the Prime Minister, Dr. the Hon. Timothy Harris, the Minister of National Security, has failed to hide the reality of insecurity by citizens, residents and visitors. “Burying our youth appears to be the only growing sector of the St. Kitts and Nevis economy,” said an individual, who expressed disappointment with the performance of Dr. Harris and his Team Unity Administration. 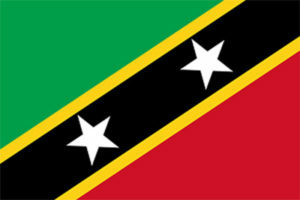 Of the 13 murders, 10 occurred on St. Kitts and 3 on Nevis. Three are teenagers and three are females. Murder #1 – January 17 – Cleon Browne (19) years old, brutally gunned down in Rawlins, Nevis. Murder #2 – January 21 – Shirley Dawn Morton (45) of Hanley’s Road, Gingerland Nevis, beaten to death. Murders #4 & #5 – March 1 – Two sisters Naomi Finch (19) and Jammyliah Finch (20) strangled and partially decapitated respectively at Keys, St. Kitts. Murder #6 – March 1 – Mikelton Tyson (26) of Phillips’ Village, St. Kitts, shot multiple times. Murder # 7 – March 16 – Glenville Francis (41) of Newton Ground, St. Kitts, shot. Murder #8 – March 17 – Calvin “Cally” Archibald gunned down in Sandy Point, St. Kitts. Murder #9 – March 31 – Marlon James of Brown Hill, Nevis, partially burnt and riddled with bullets. Murder #10 – April 1 – Body of 27-year-old Priston Joel Fleming of Newton Ground, St. Kitts, found in Old Road mountain. Strangled. He was missing since February 27. Murder #11 – April 22 – Adrian Patrick (23) of Phillips,’ St. Kitts, shot. Murder # 12 – May 3 – Sgt. Dwight Davis, 37, of St. Paul’s, St. Kitts, shot.